I bought this pair when I was in Manila last February. I was actually just passing by Glorietta when I saw this display in the Lacoste store. Needless to say, the incorrigible shopper in me was smitten at first sight and after trying it on, I knew I just had to have it. Description: Inspired by Lacoste’s yachting heritage, Marthe is a stylish pump with a traditional deck shoe outsole and a neat bound top line. Made in quality canvas with a nautical striped lining, this is a chic and versatile choice for any stylish wardrobe. The classic Lacoste crocodile sits on the front to finish this lovely design. My Lacoste Marthe 4 is now my favorite pair of casual flats. It goes well with shorts or jeans and even sporty skirts. It’s also very lightweight and comfy that even if I spend my day roaming the mall or seeing places when traveling, my feet remain comfortably protected by its cushioning. Contact Lacoste in Glorietta 3 at +63 2 867 4077. This entry was posted in Shopping and tagged Lacoste, Shoes on November 21, 2012 by milai. 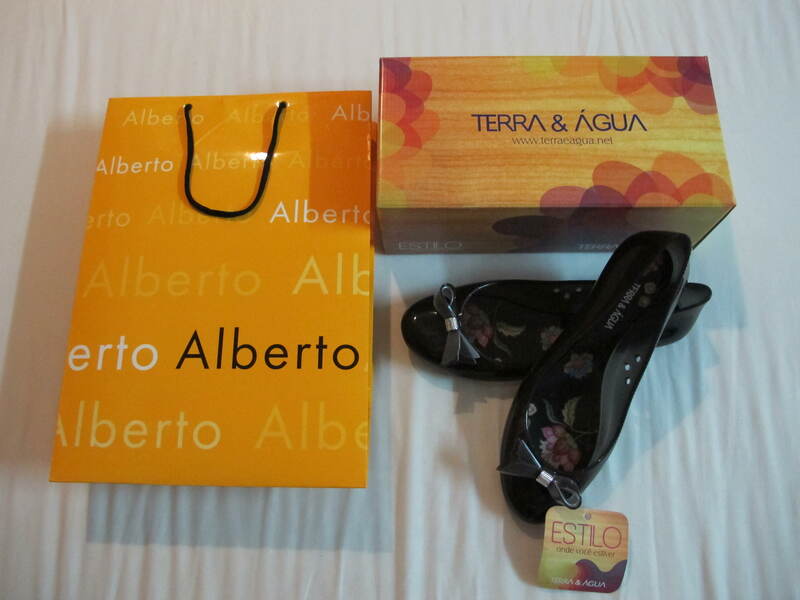 I bought this pair of flats last summer in Alberto at SM Cebu. Why I bought it: I found it very comfy. The ribbons also looked so cute plus it’s made of plastic so it’s perfect for the rainy season. And it’s in transparent gray so I can pair it with just anything. But after two months, one of the ribbons got lost. When I checked, it was only screwed on the shoe and maybe not capped tightly so it fell while I was walking. It was already too late though when I noticed that when I re-traced my steps, I did not find it. I was thus left with no choice but to take out the ribbon from my other pair. Now, I often still wear this pair of shoes especially when it’s raining but I no longer feel good about wearing them because now they’re not as pretty as before. The ribbons made them look unique and elegant and with them missing, this pair now looks like just the usual pair of plain gray plastic shoes with a discreet hole (from where the ribbon used to be screwed) in the middle. I must say I am not going to buy any Terra & Agua shoes again and will gladly go back to buying my favorite Grendha and Ipanema footwear. Contact Alberto Shoes Philippines in SM Cebu at +63 32 233 0621 or click HERE for their official website. This entry was posted in Shopping and tagged Shoes on November 15, 2012 by milai.